With all the cold weather we have been having it’s no wonder all the skating rinks around the city are filled with eager skaters young and old. 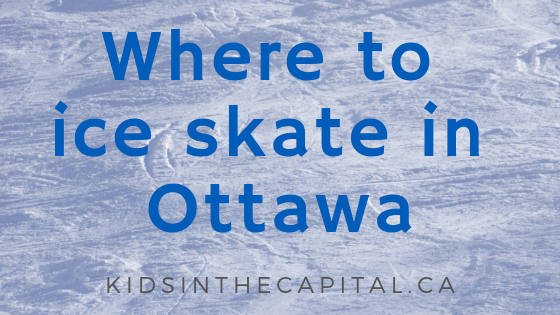 To help you decide where to lace up, here’s a list of various ice skating rinks in and around Ottawa (and a little further out too). Weather permitting, the Rideau Canal is open to skaters daily from roughly late December (whenever it’s ready!) to late February (when it starts to thaw). And it’s free! There are many change huts, skate rental shacks and snack stations (yum - Beavertails!) all along its 7.8 km length. We recommend checking the ice conditions before you head out to avoid disappointed little skaters should it be closed. If the Rideau Canal is closed you can almost-always count on the SENS Rink of Dreams at City Hall to be open. This refrigerated outdoor skating rink is open from December to March from 6:00 a.m. to 11:00 p.m. It’s a large rink that features LED lighting, a heated change hut, picnic tables and benches. Skate rentals and skate sharpening are available on weeknights and weekends, check out the City’s website for information on hours. Weather permitting, the Lansdowne Park Skating Court is open from early December to mid-March. There is on-street parking nearby. Free open skating sessions are available daily. Ben Franklin Place’s outdoor skating rink in Ottawa’s West End (Nepean) has a heated changing facility and is open daily from 11 am to 8 pm (weather permitting). The historic skating rink at the Governor General of Canada’s residence, located on Sussex Drive, was established in 1872. Rideau Hall’s refrigerated outdoor skating rink offers free public skating sessions on Saturdays and Sundays from roughly December through March, weather permitting. Located Lac des Loups, Quebec (about 45 minutes north of downtown Ottawa), this skating rink is a 3-kilometer open-air ice loop which winds through tall trees. There is a heated chalet onsite. A very limited number of skate rentals are available, so if you can – bring your own! Visit their website for more information. About one hour south of Ottawa in Perth, Ontario is Perth Outfitters. They offer a 400-metre (0.2 mile) skating trail through the woods (including lantern skate events on Friday and Saturday evenings). There’s also a shinny hockey rink, log cabin and warm treats. A fun way to spend a weekend evening! Although it’s a bit of a drive (about 3.5 hours from west Ottawa), this ice skating trail is considered one of the most stunning natural skating rinks around the world! The 1.3 km ice skating trail winds through think Muskoka forest and is magical anytime of day! The park is very busy on weekends, so the ark recommends visiting during the week if you can. 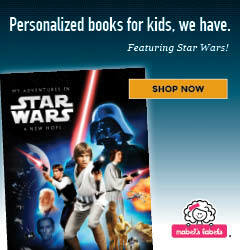 Visit their website for more information. There are many volunteer-run outdoor community ice rinks across the city – several even have huts to change in and out of your skates. Check out the City’s website for more information. Ottawa is home to several indoor arenas that offer affordable public skating sessions and skate rentals. Visit the City of Ottawa website for more information or to find an arena near you.